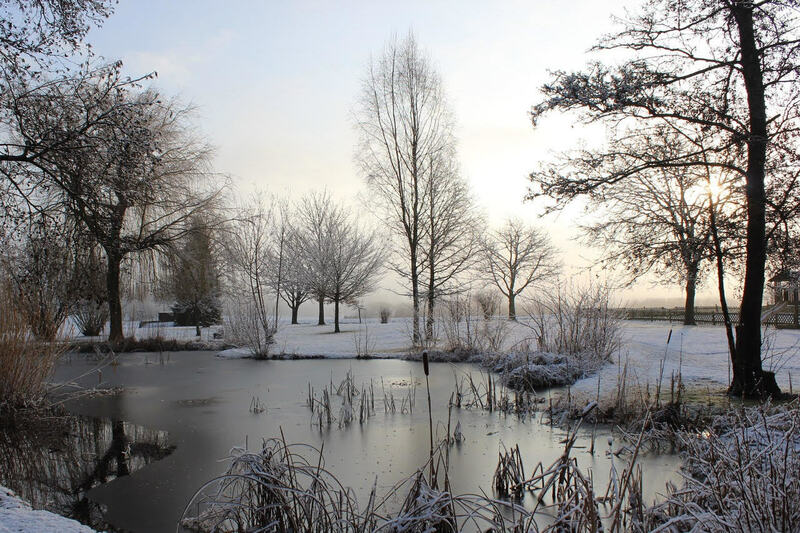 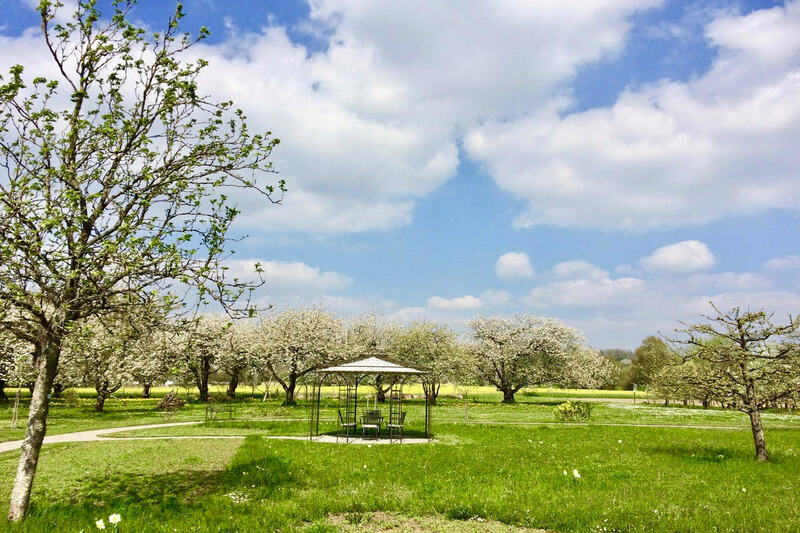 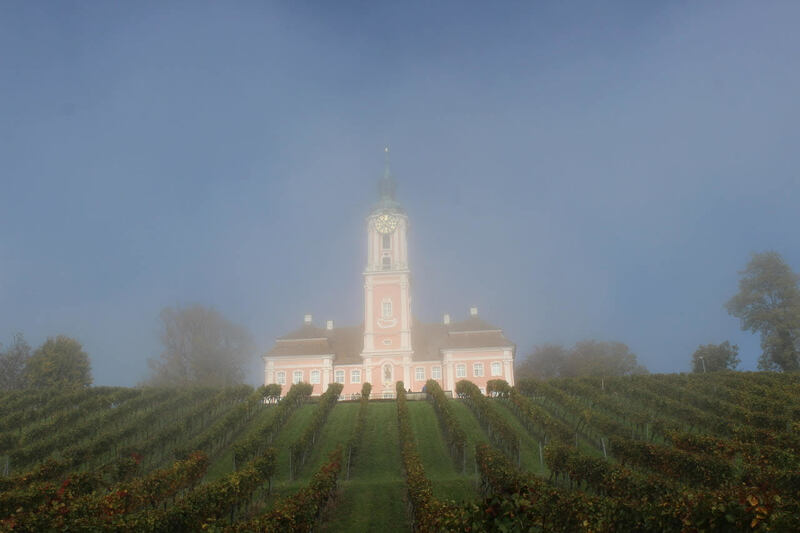 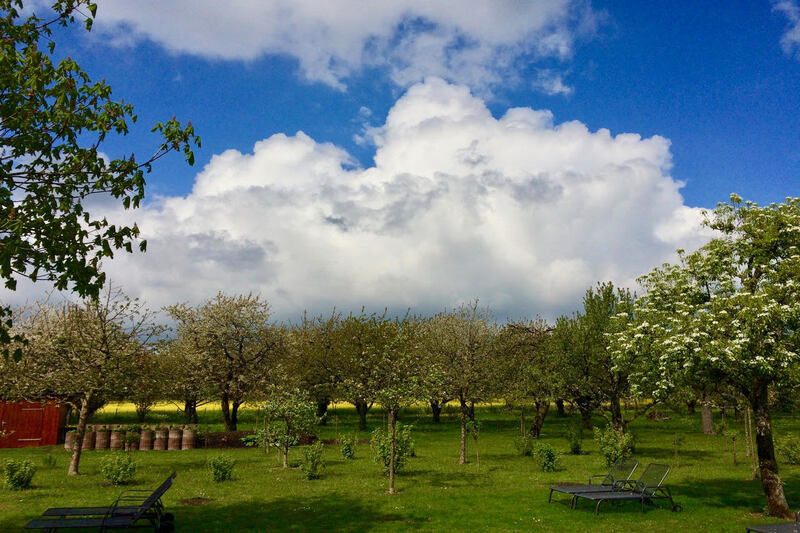 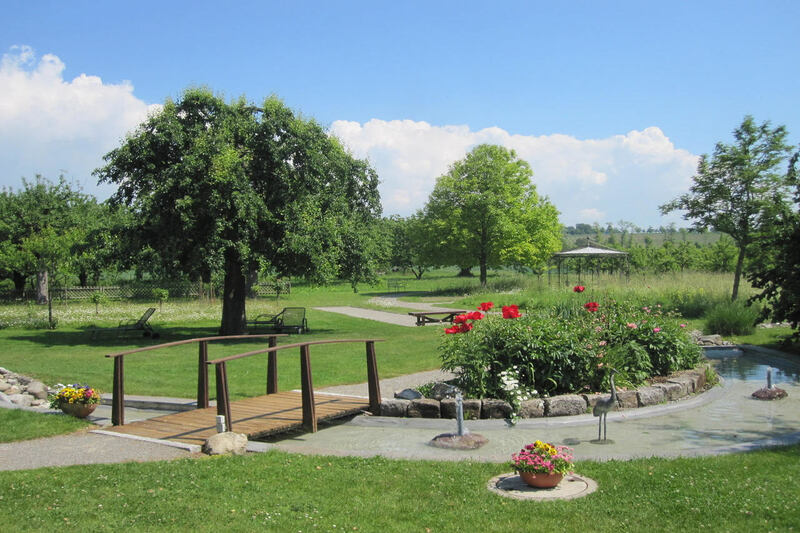 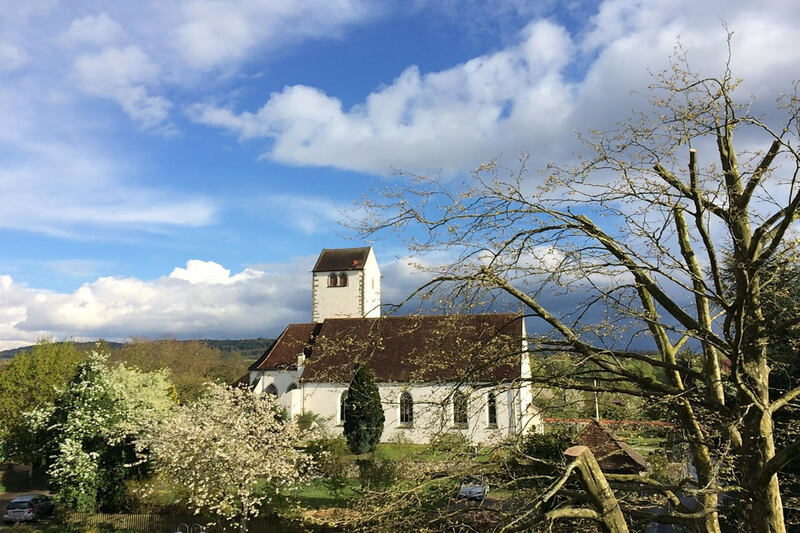 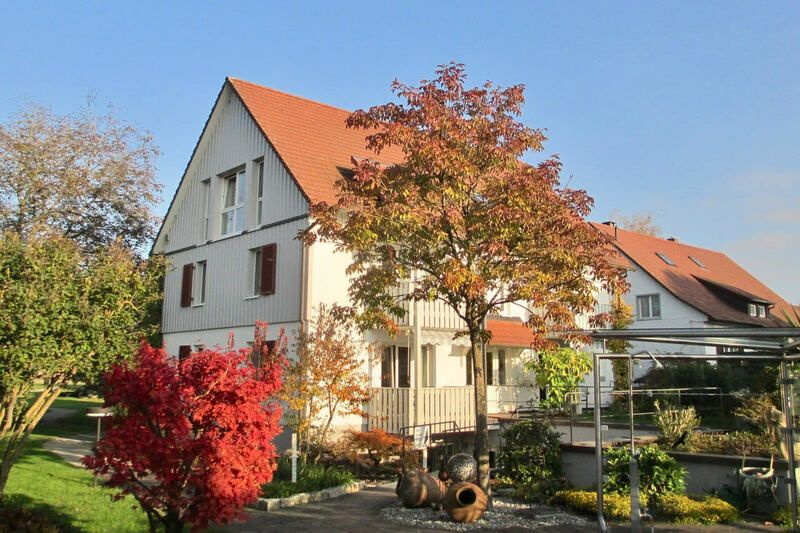 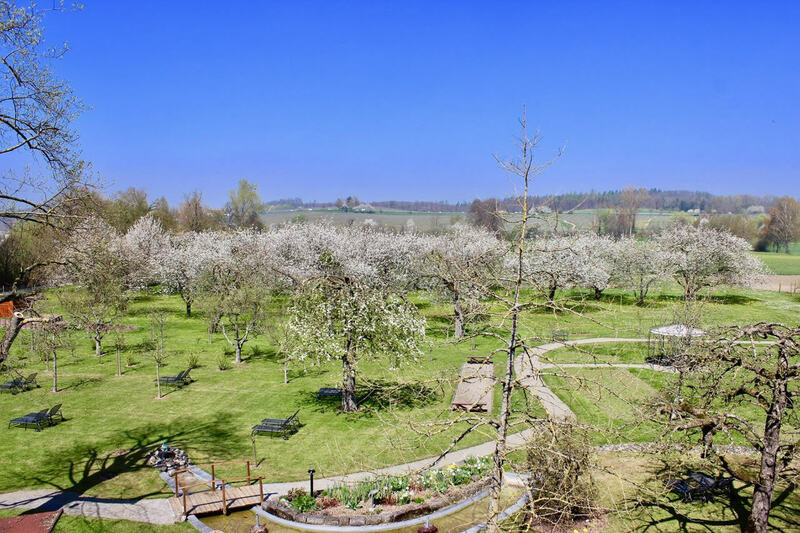 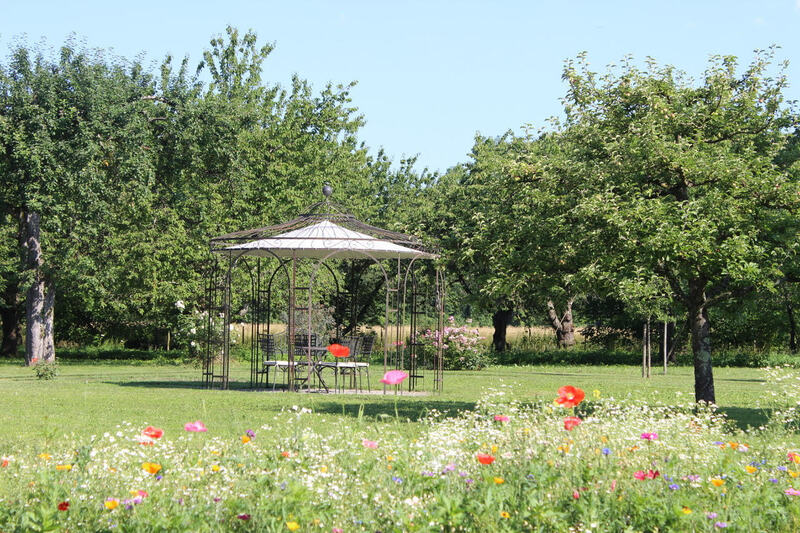 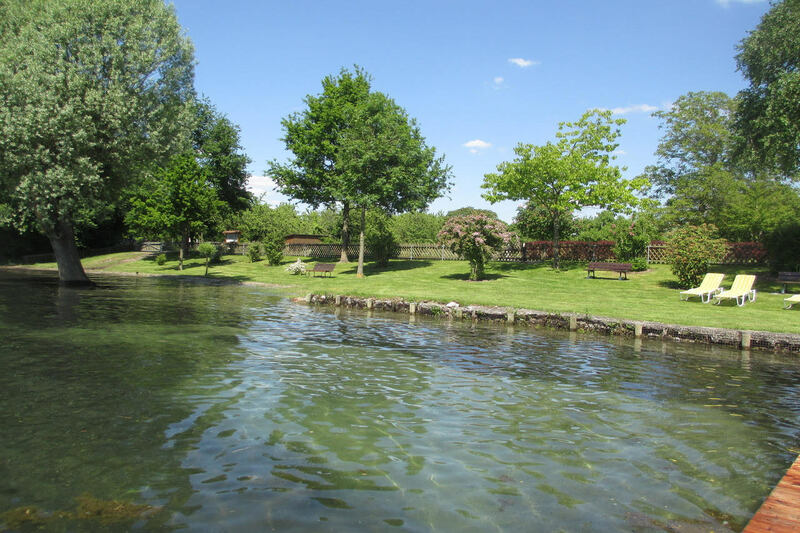 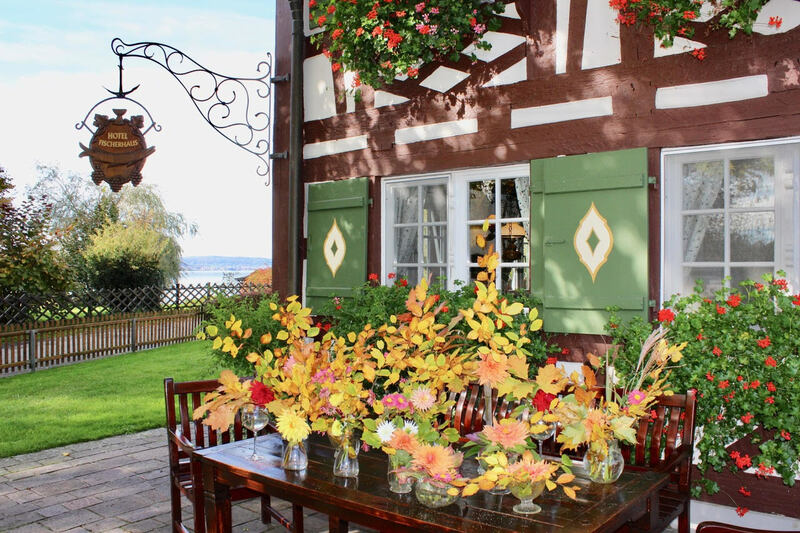 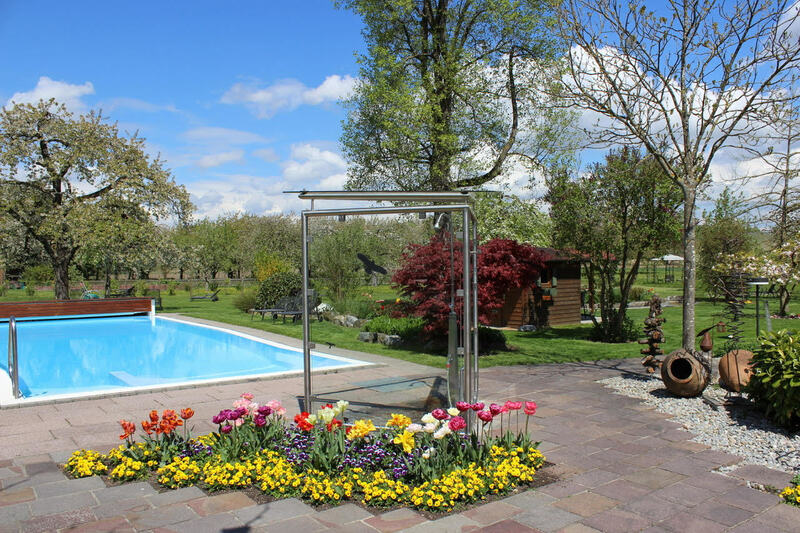 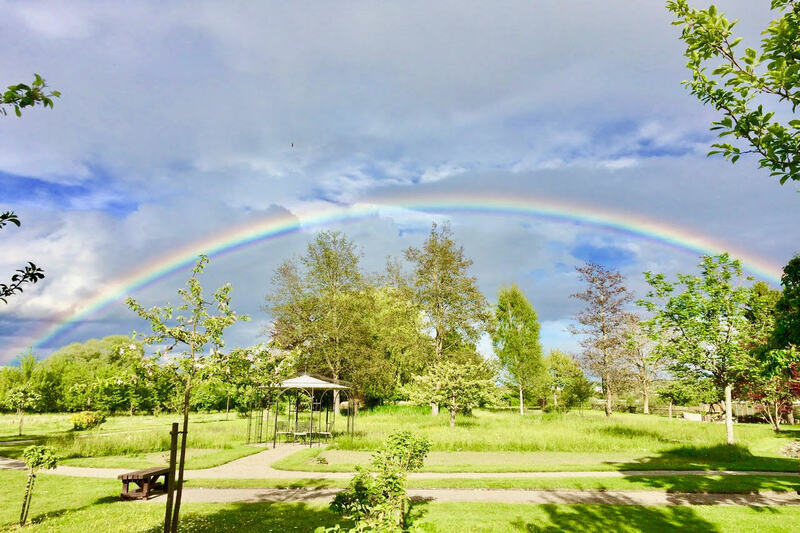 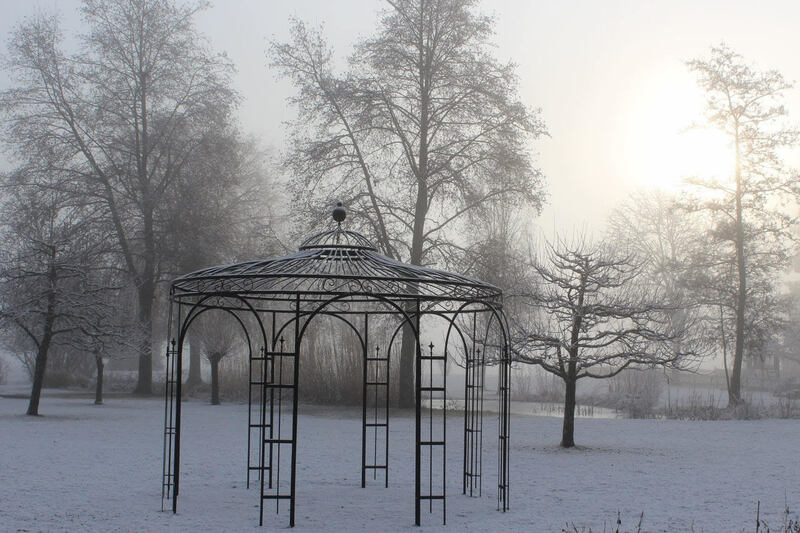 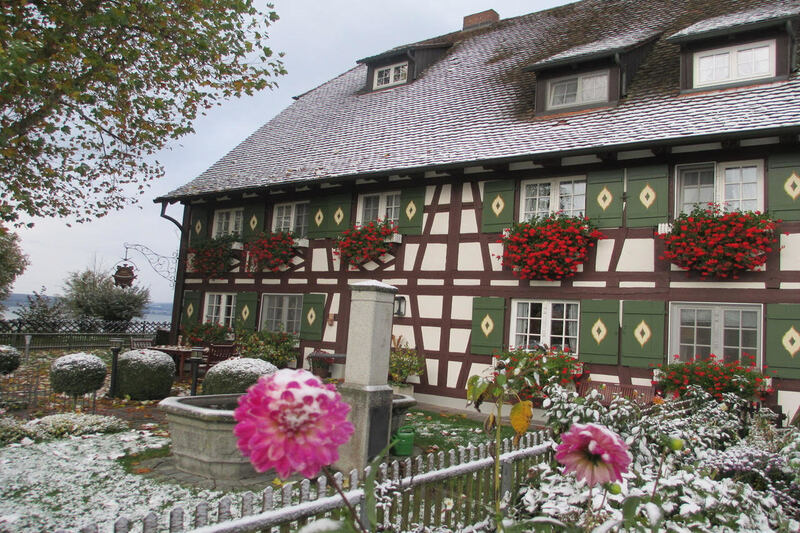 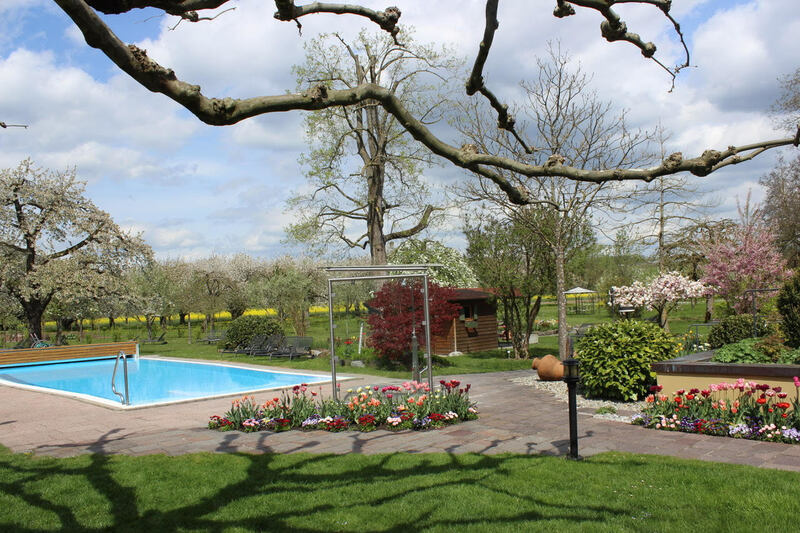 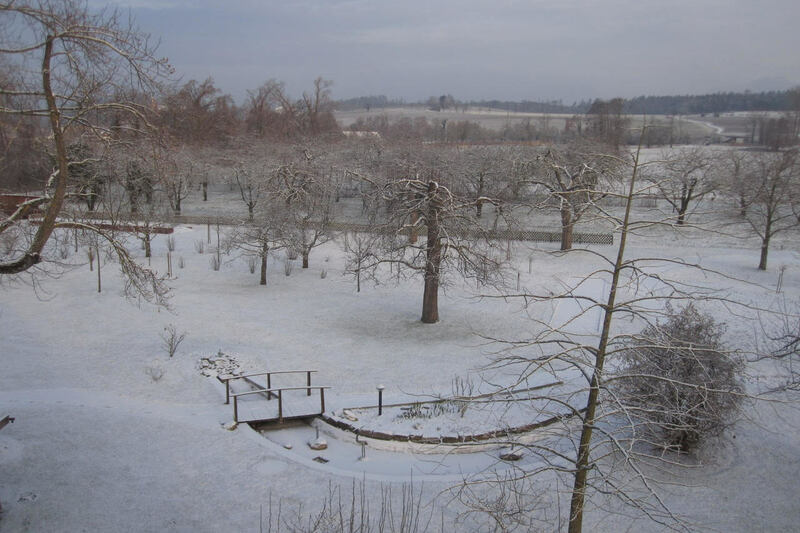 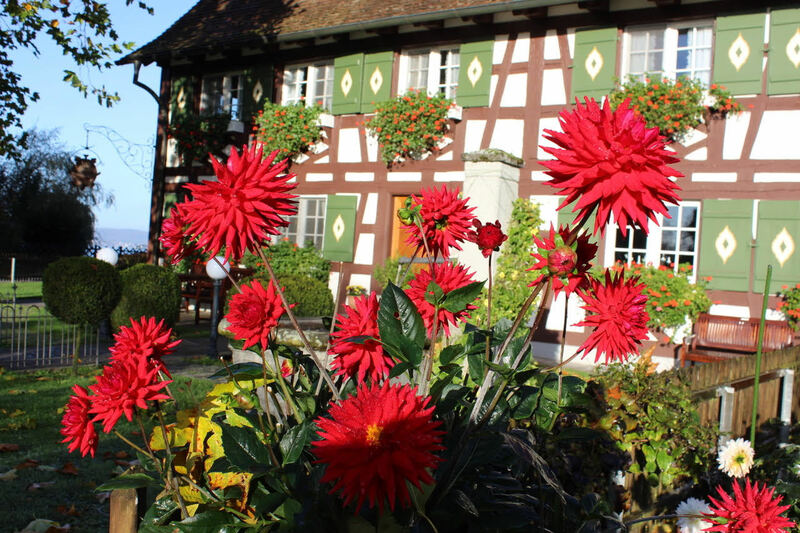 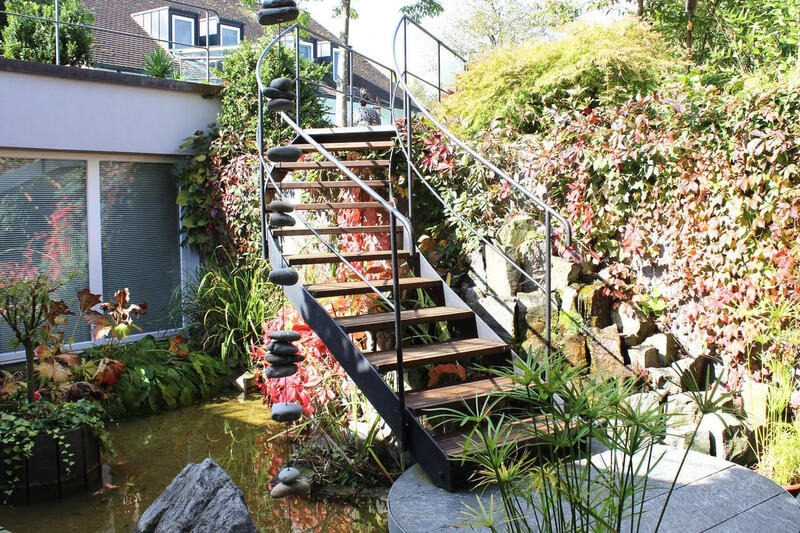 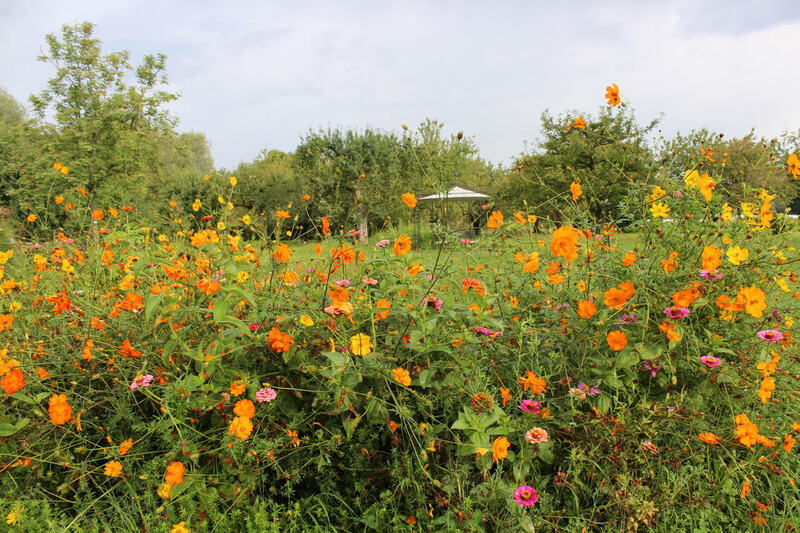 The garden and the surrounding area are an experience in every season - fischerhaus-seefelds Webseite! 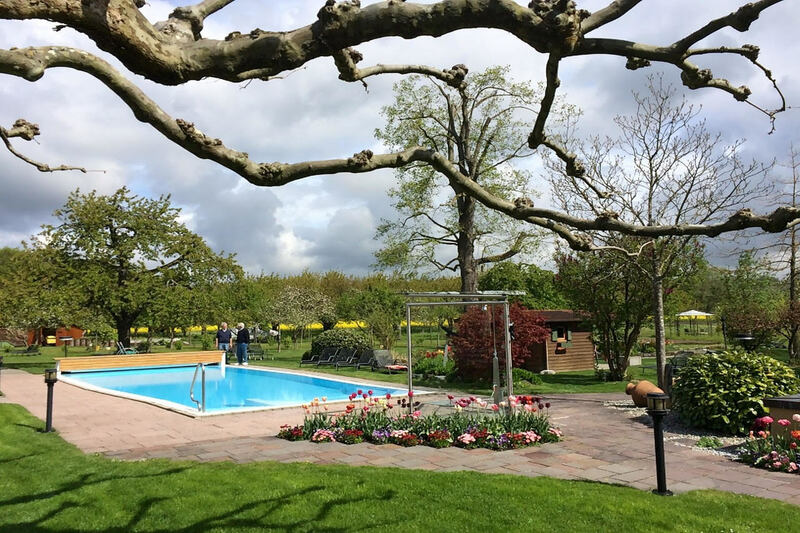 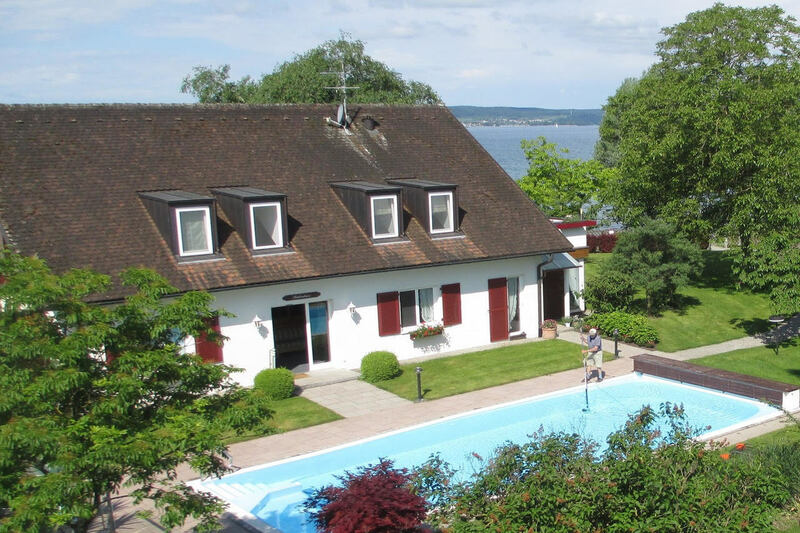 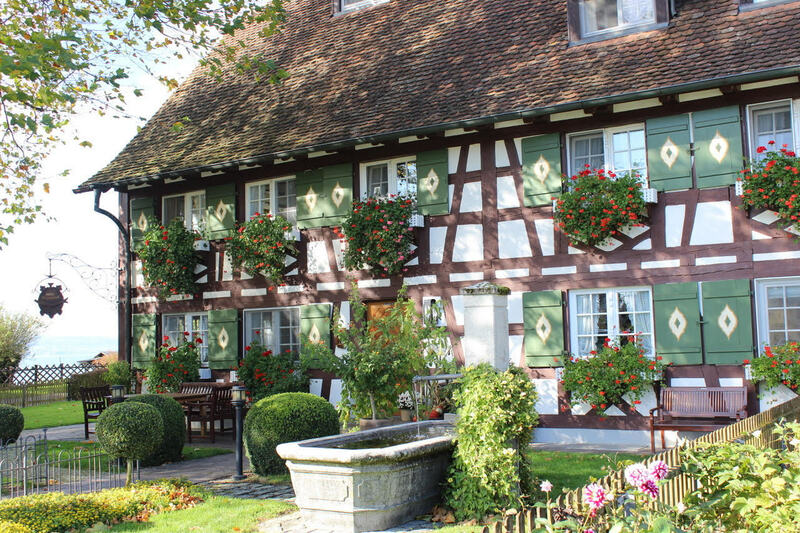 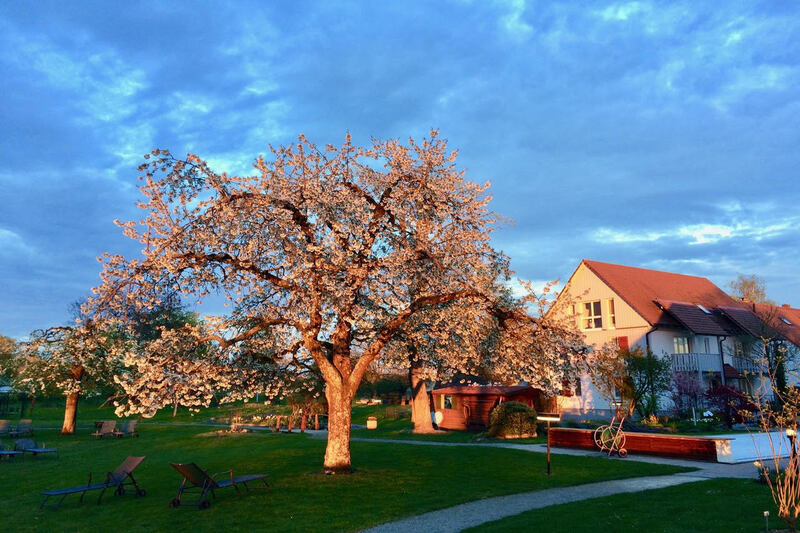 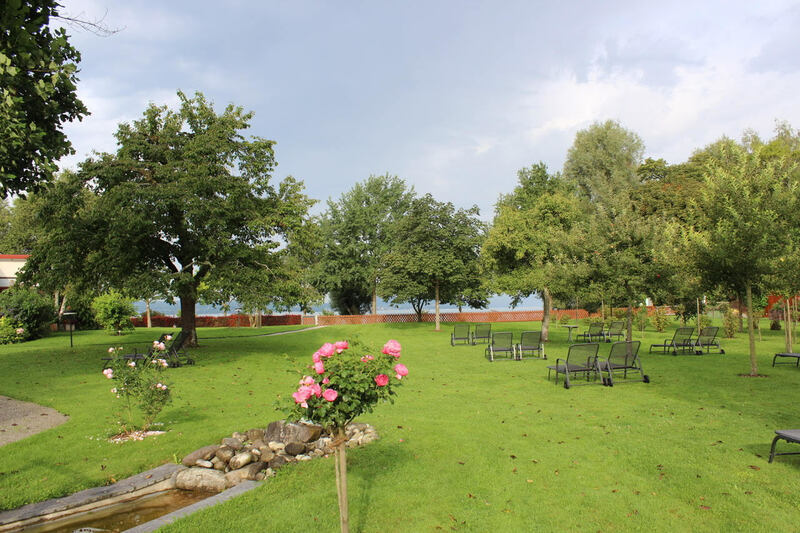 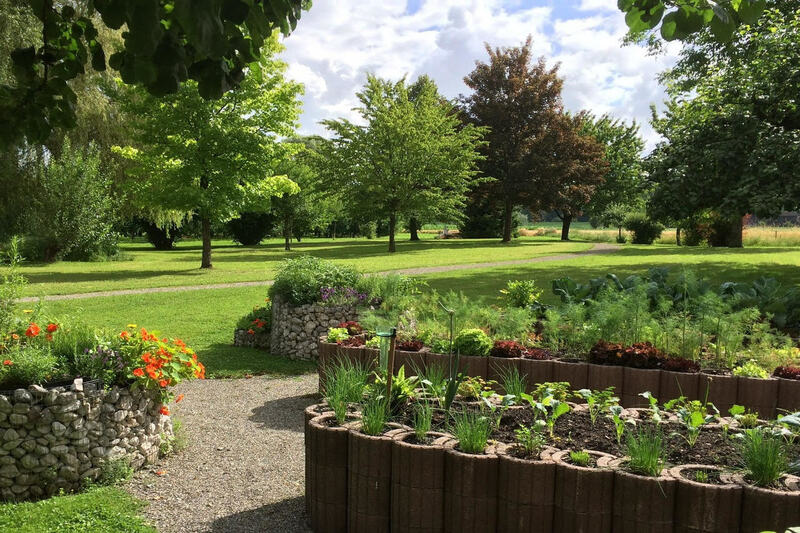 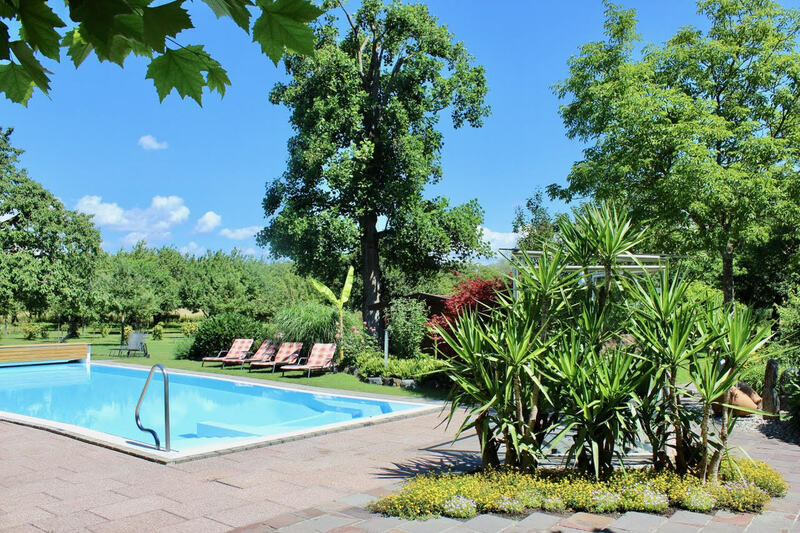 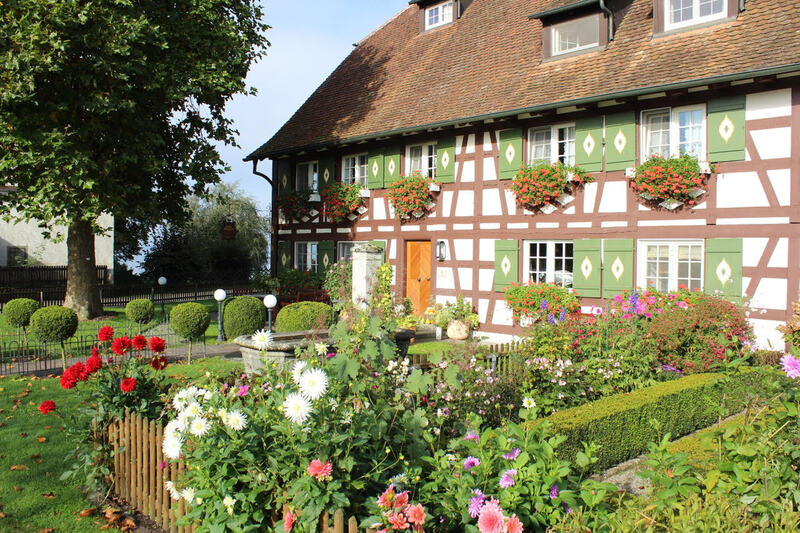 The spacious, well-kept garden of the Landhotel Fischerhaus blends seamlessly into the charming landscape of the lakeshore . 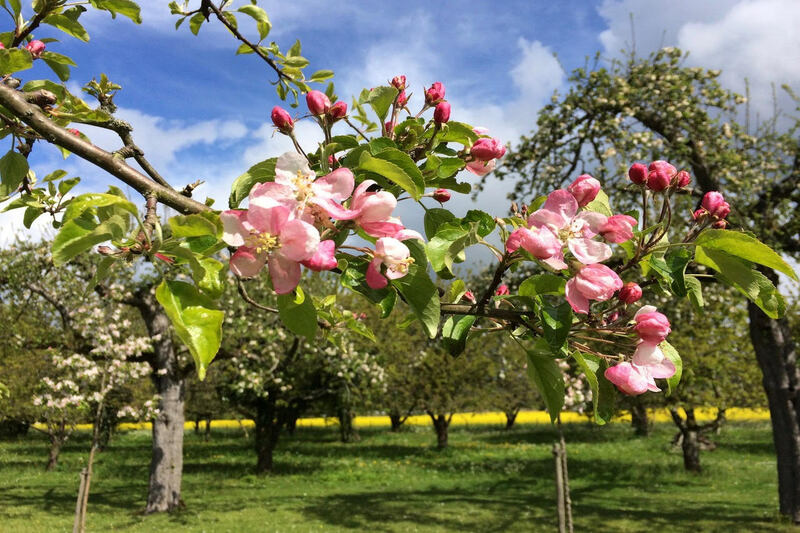 Regardless of the season you choose: the spring with the tree blossom, the sweet berries and colourful flowers in summer or the rich autumn hues with the aroma of ripe fruit in the air. 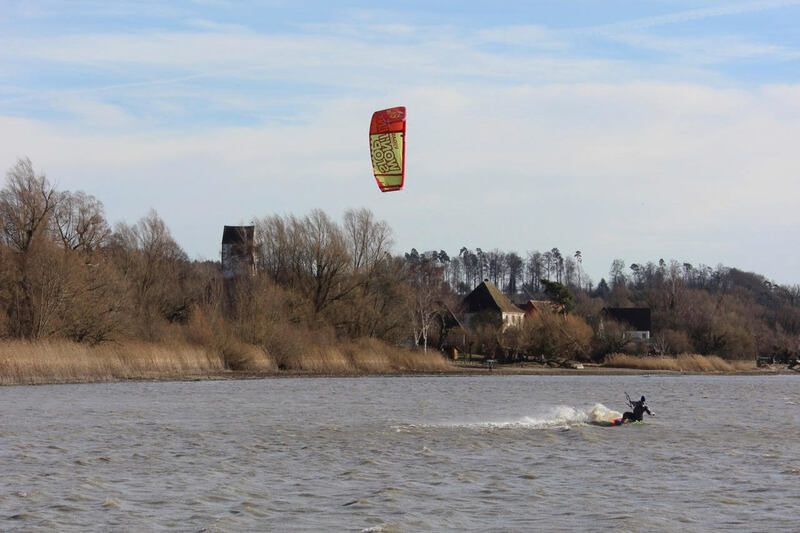 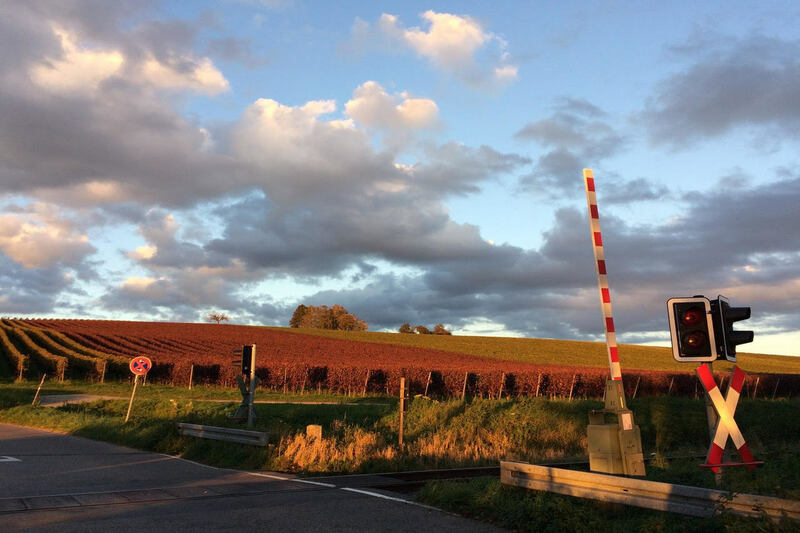 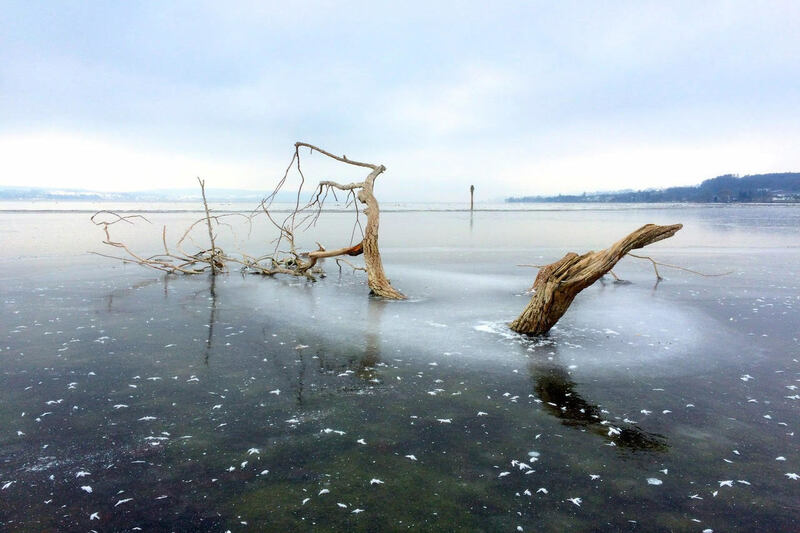 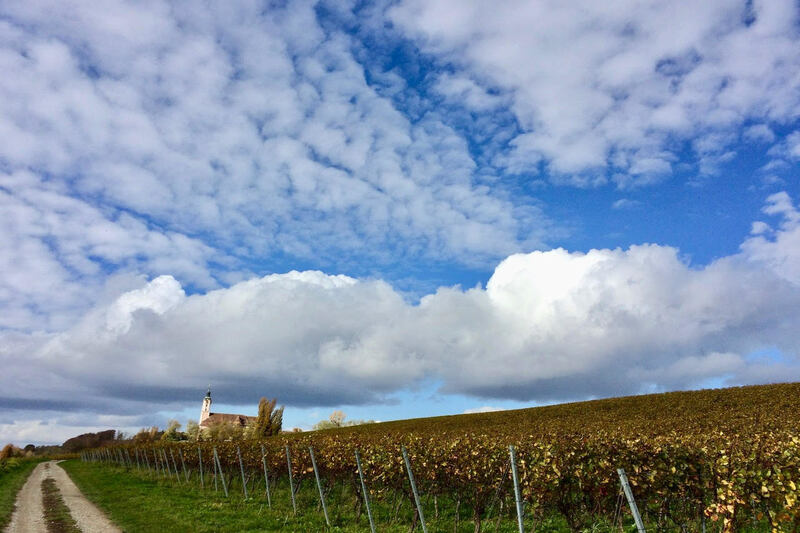 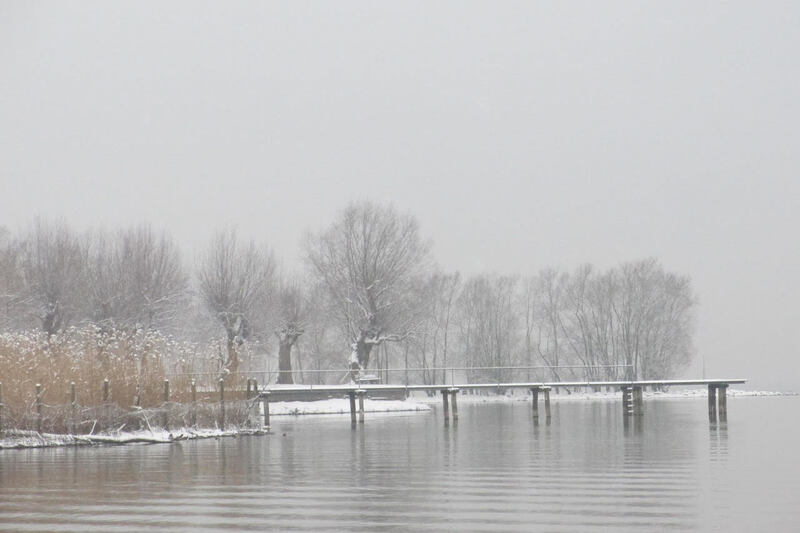 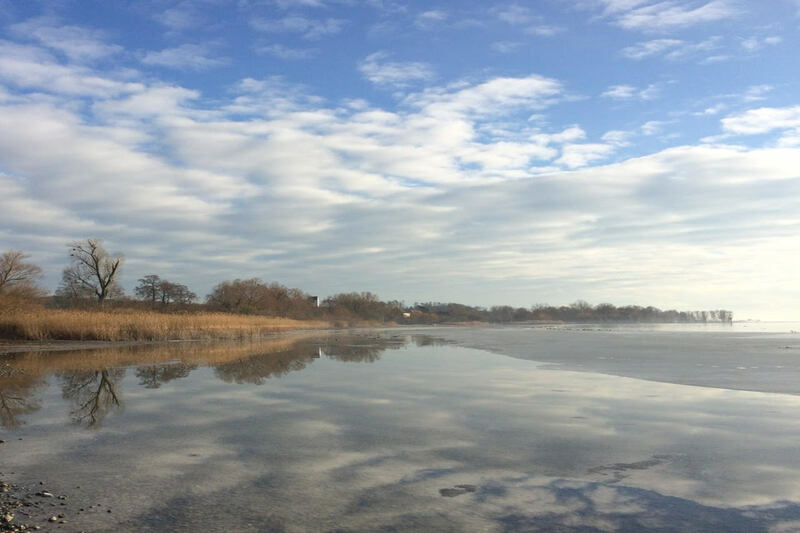 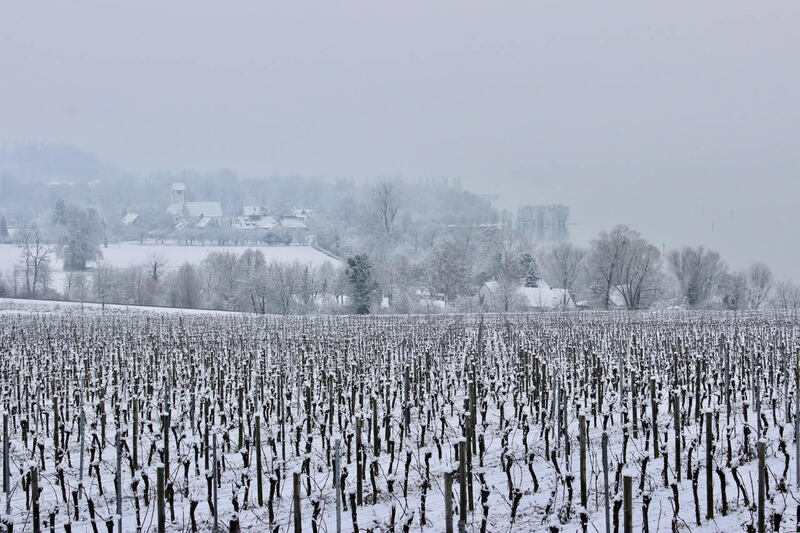 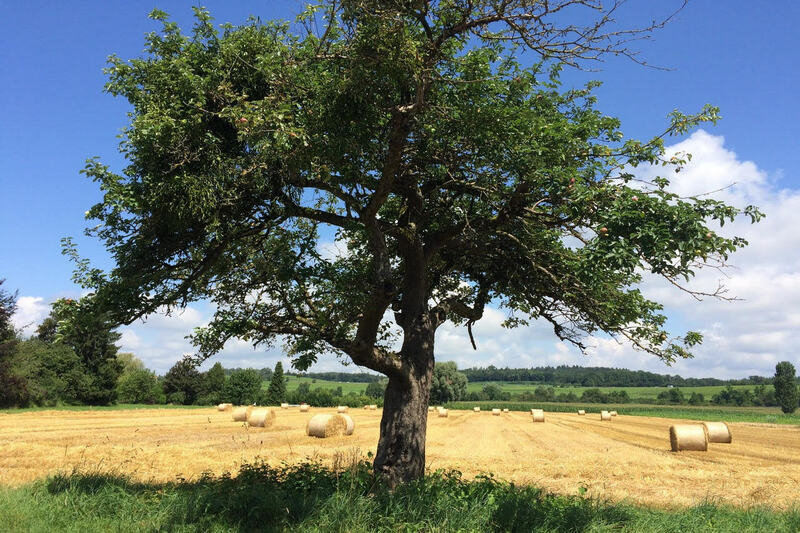 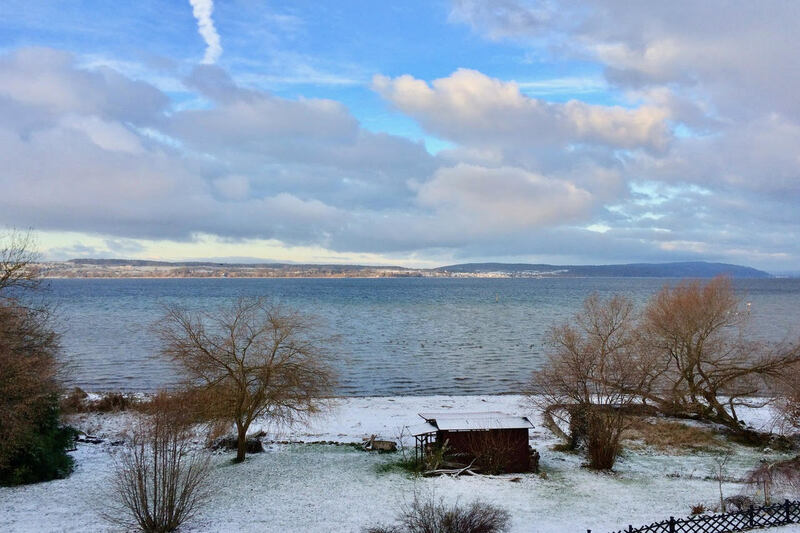 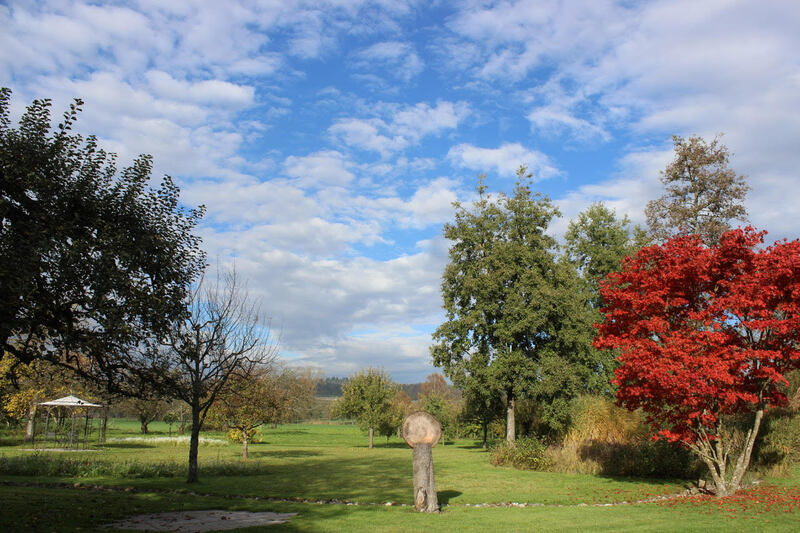 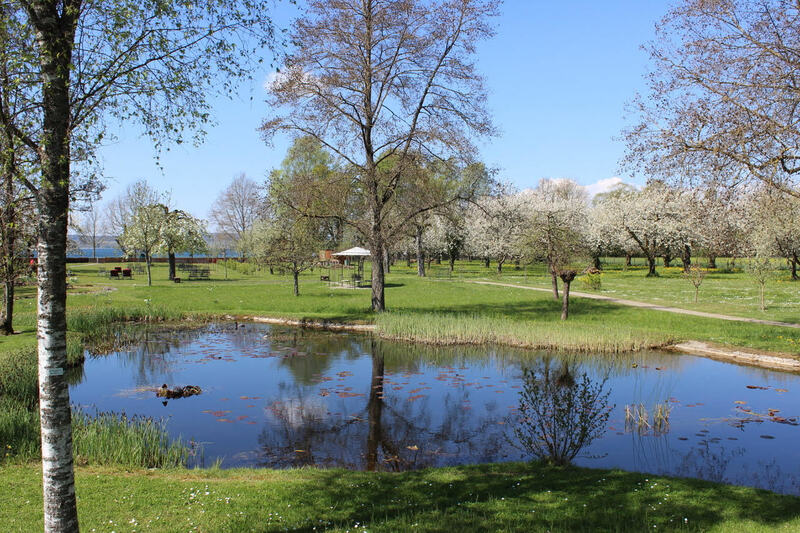 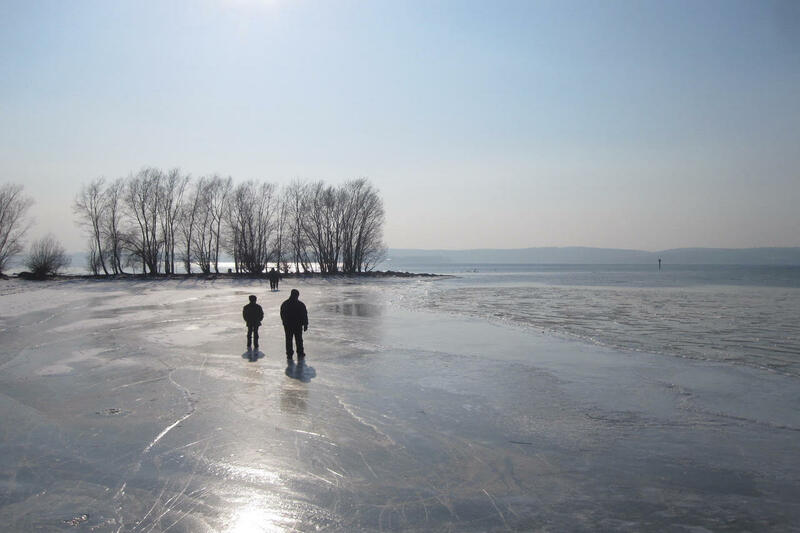 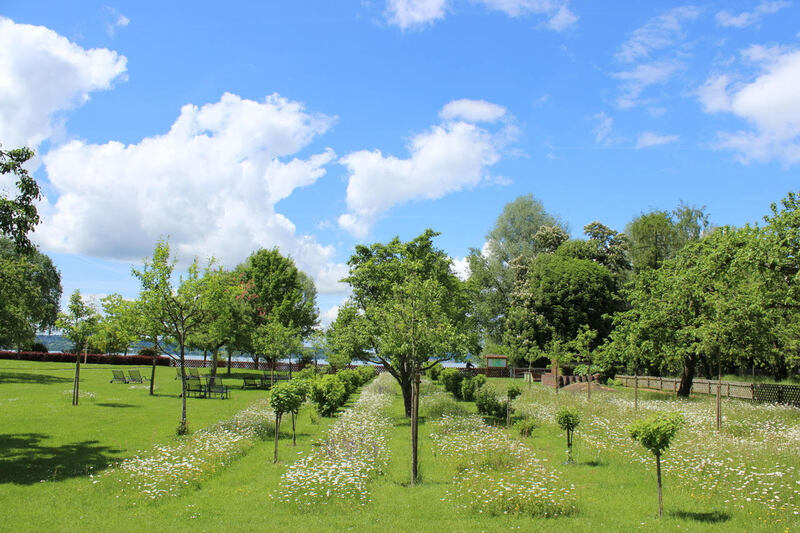 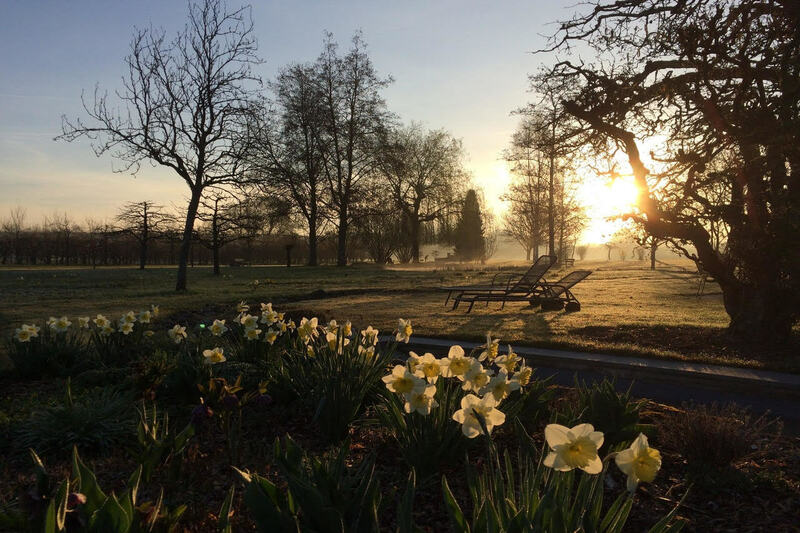 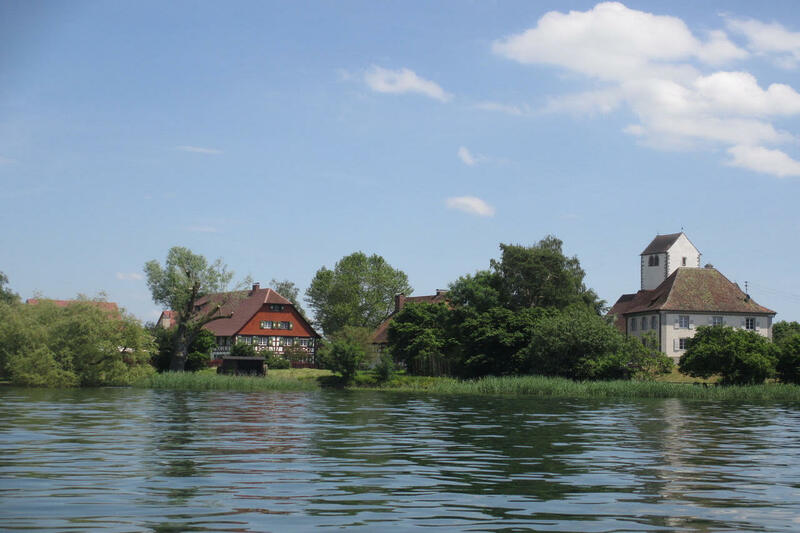 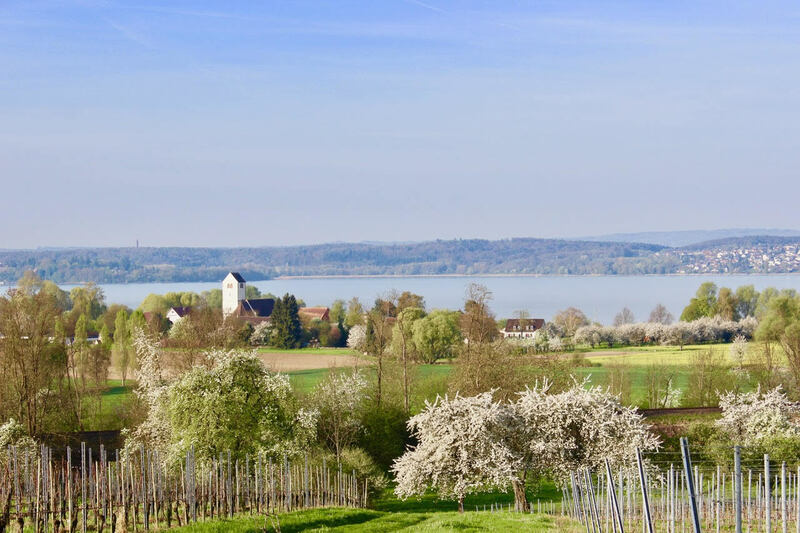 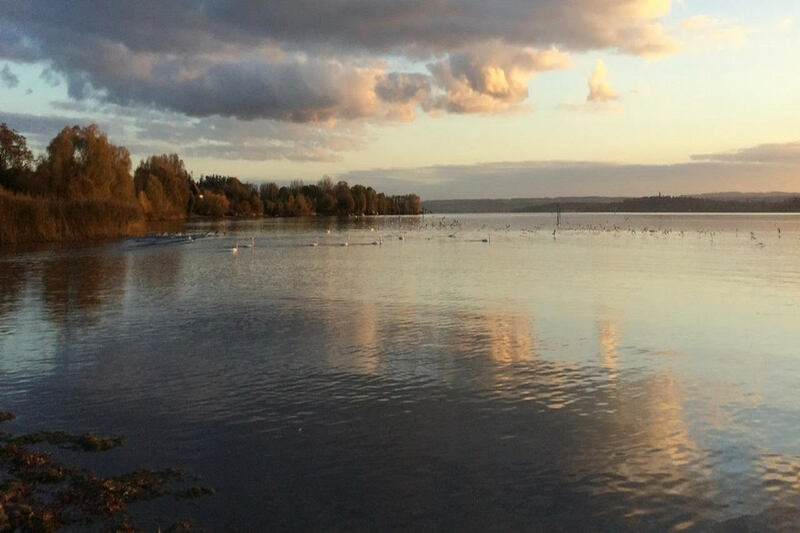 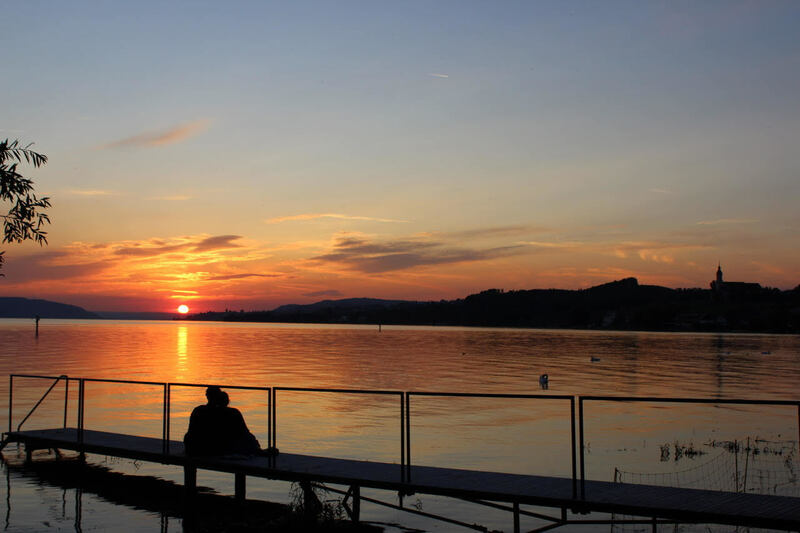 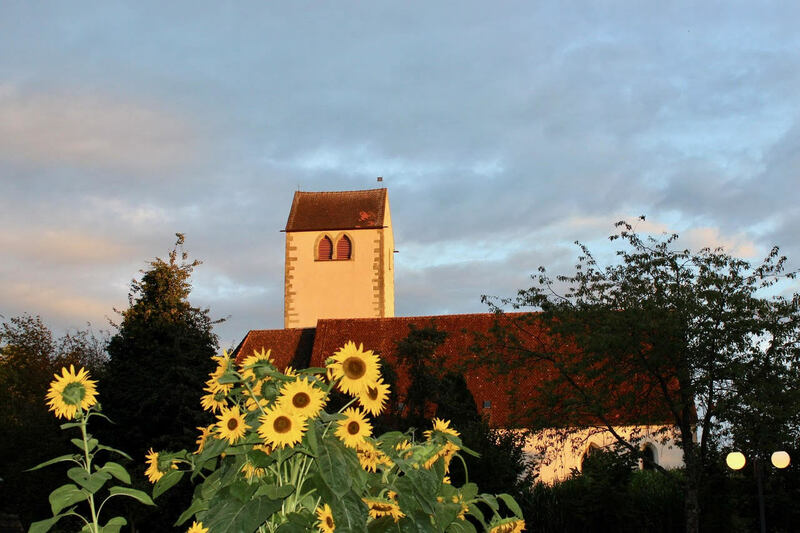 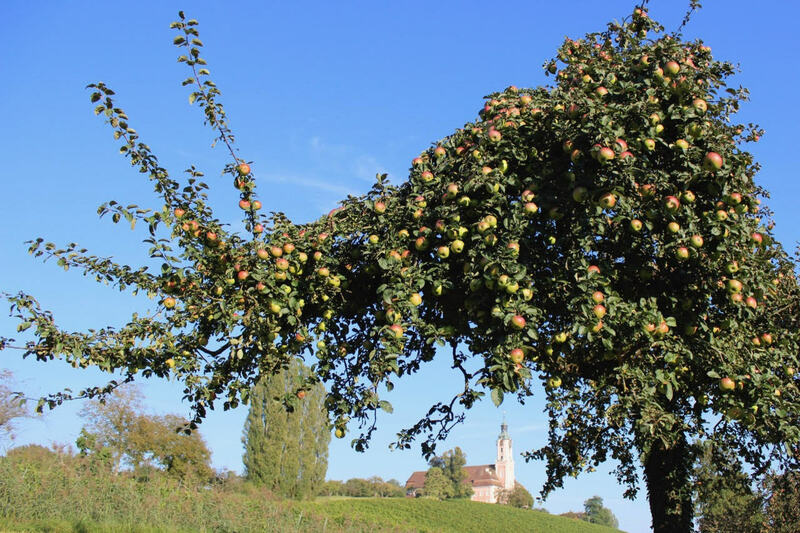 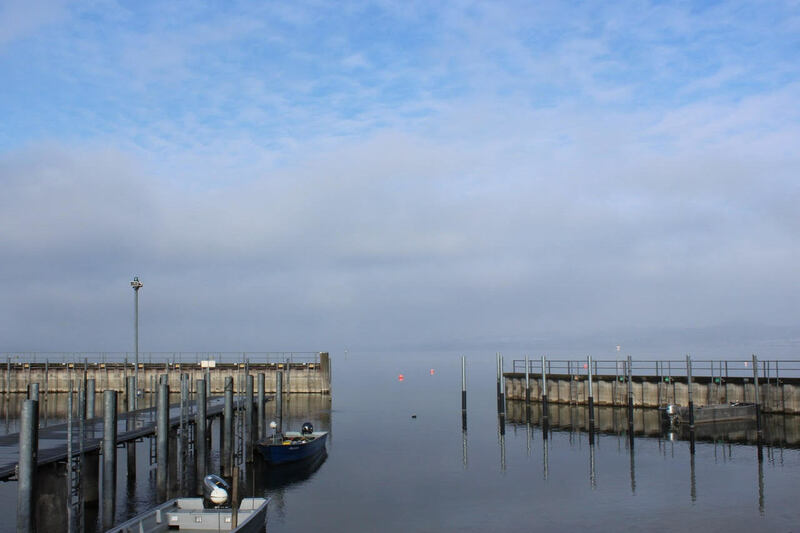 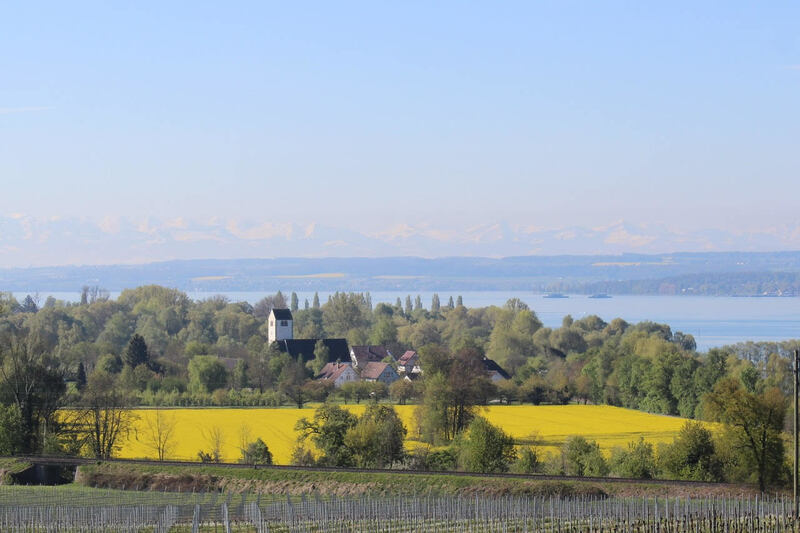 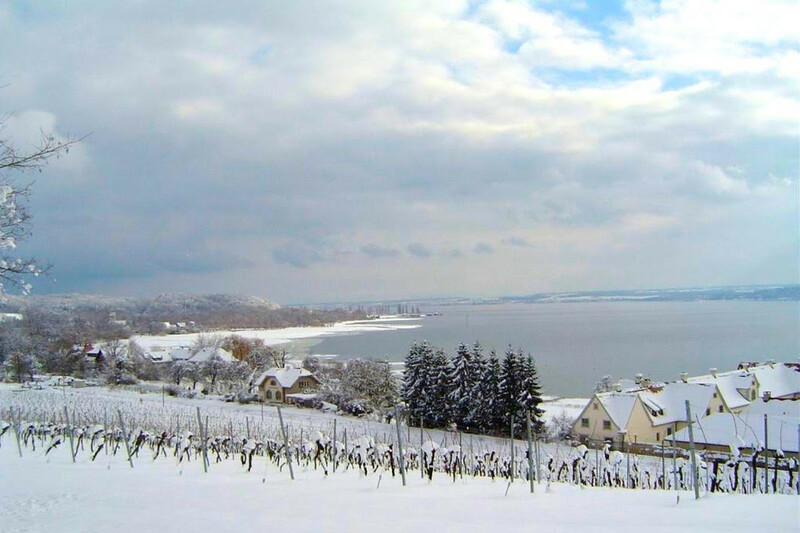 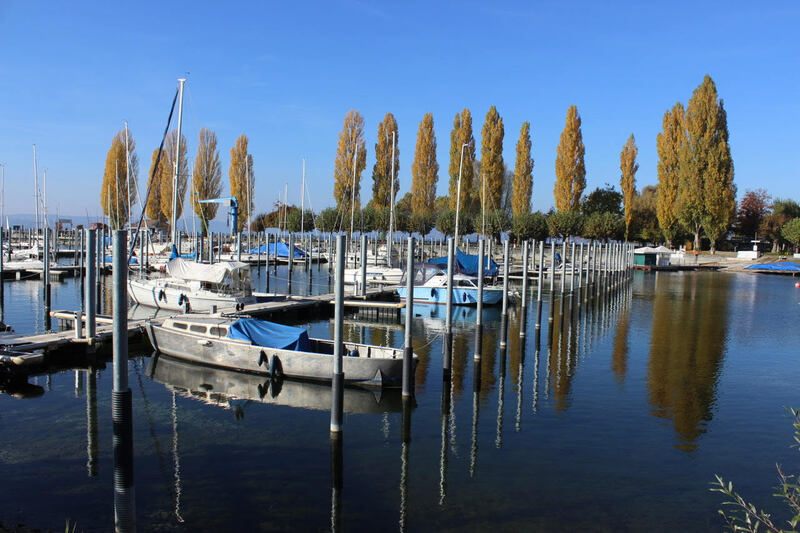 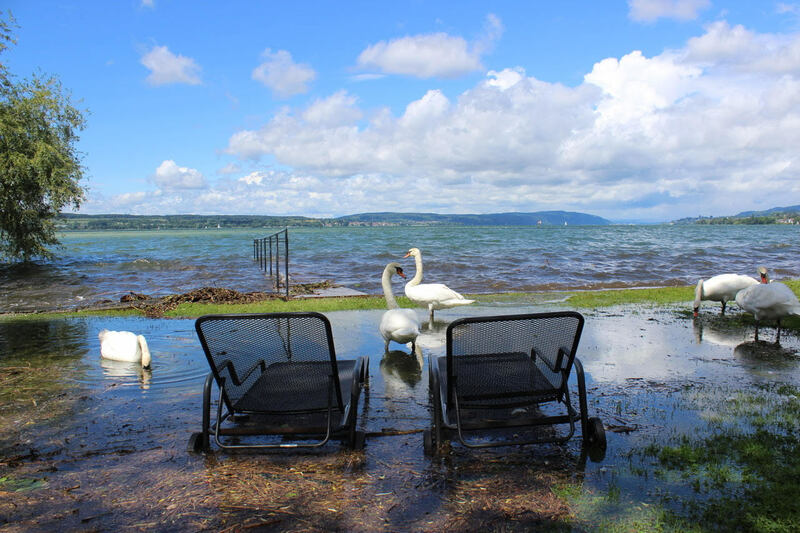 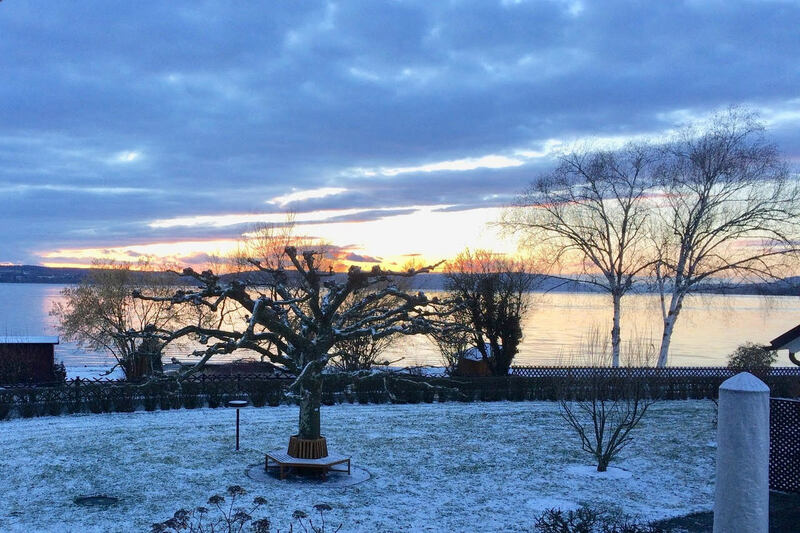 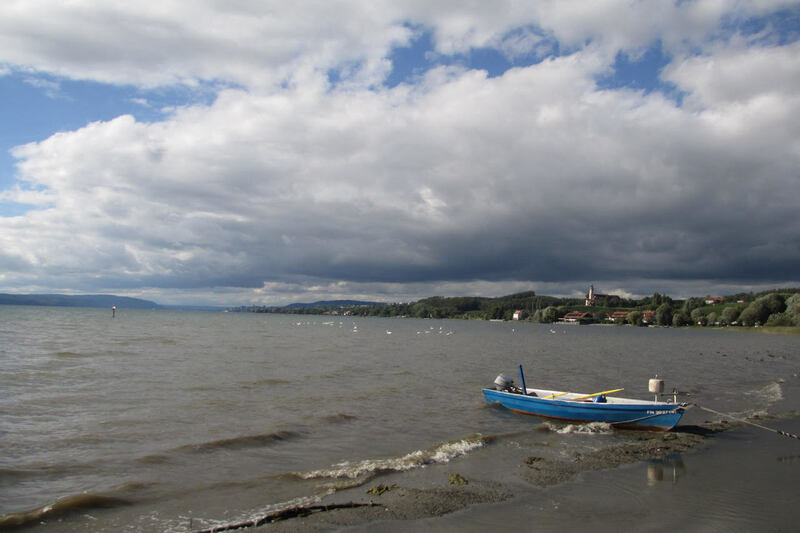 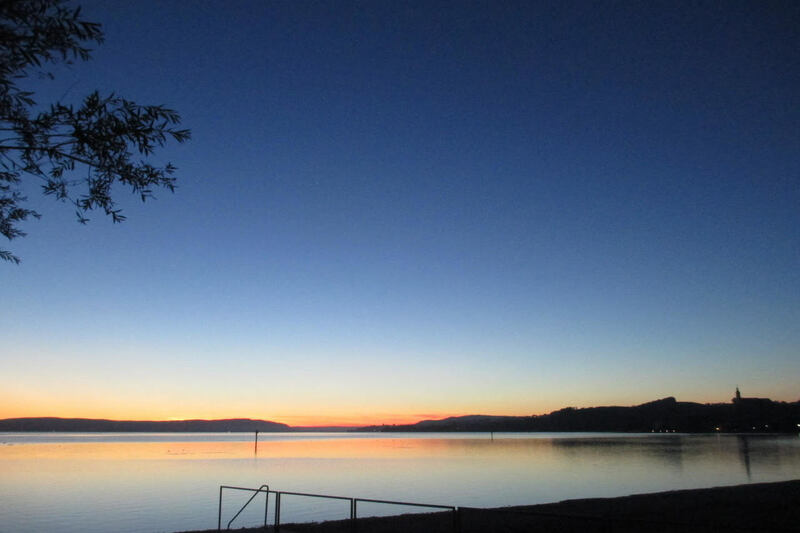 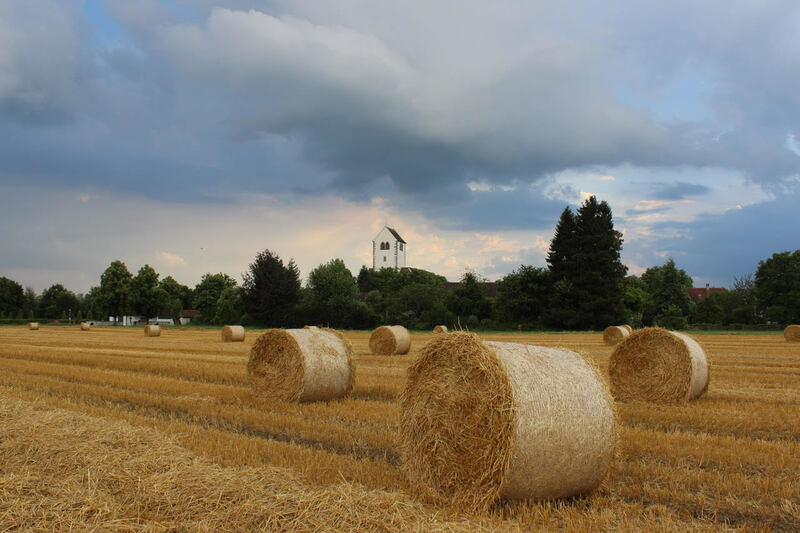 The seasons on lake Constance are a feast for the senses. 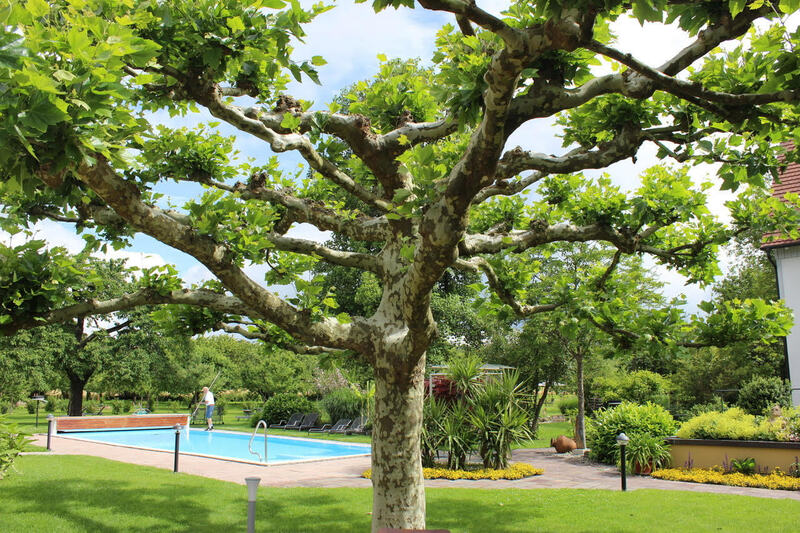 Laid out on 15,000 square meters, the property holds a variety of landscape design that promises new discoveries at every bend and invites you to linger and rest. 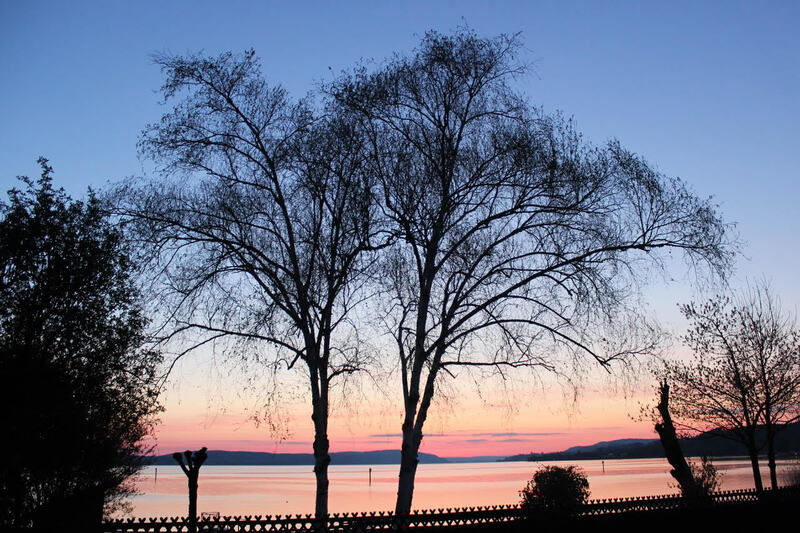 From the hotel's lakeside lawn a magical view of the constantly changing character of Lake Constance completes the day with a romantic sunset.